Home / Blogs / November Update! We hope that November is off to a good start for you! We have a busy month ahead so let’s get to it…. 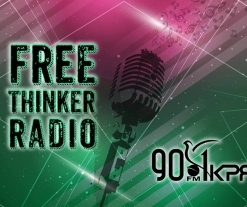 First, we have just spent our first month at The Free Thinker House! We have successfully started a garden, had a 6 year anniversary potluck, and our first Halloween House show! Follow our page for more events and progress! We have our next monthly organizing meeting on November 9th at 7 pm! Please come join us at 323 Hutcheson! We are also stoked to announce the return of the Houston GardenCrawl! Follow the event page for updates and get your bikes ready! Finally, on November 12th we are proud to present the 12th edition of For The Community! This is our big FREE music, art, and activism festival! Please do not miss it because it is a very unique experience! Stay tuned to our fb page for more updates and events!